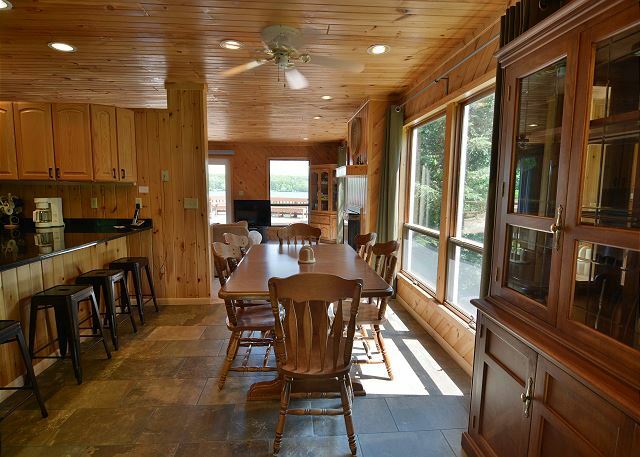 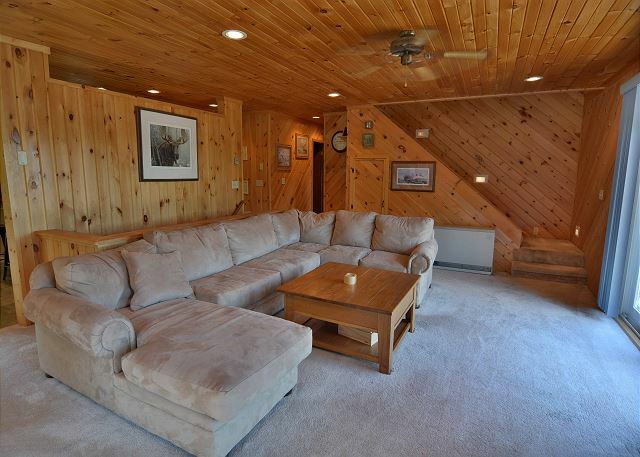 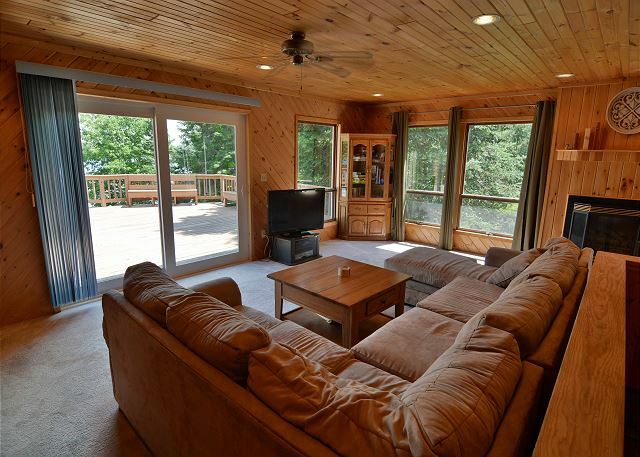 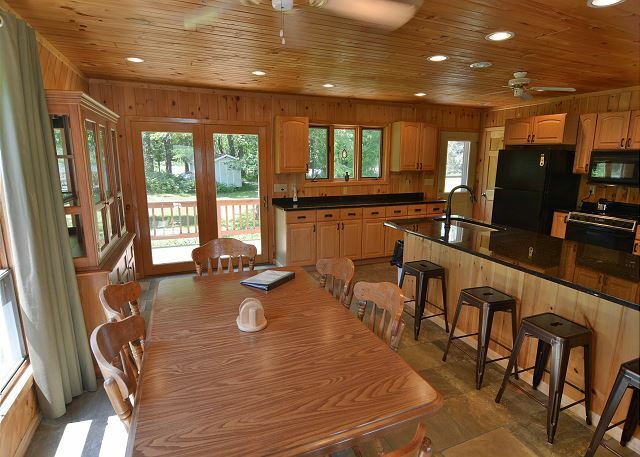 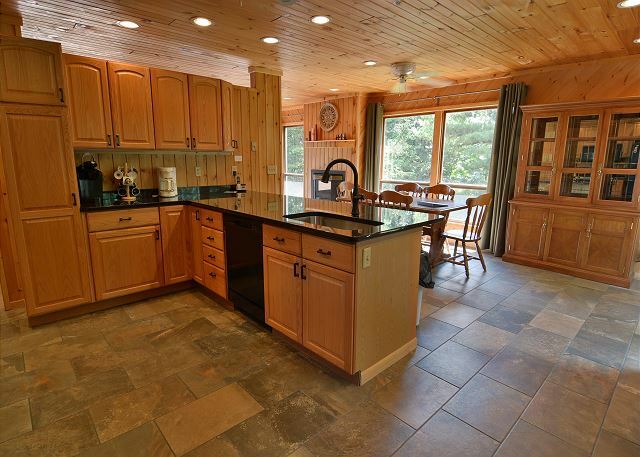 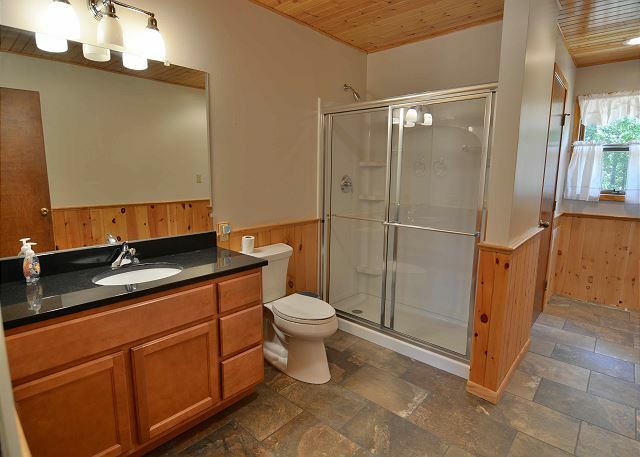 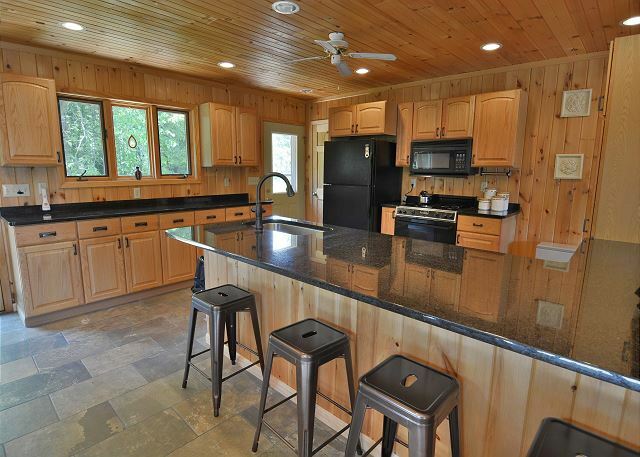 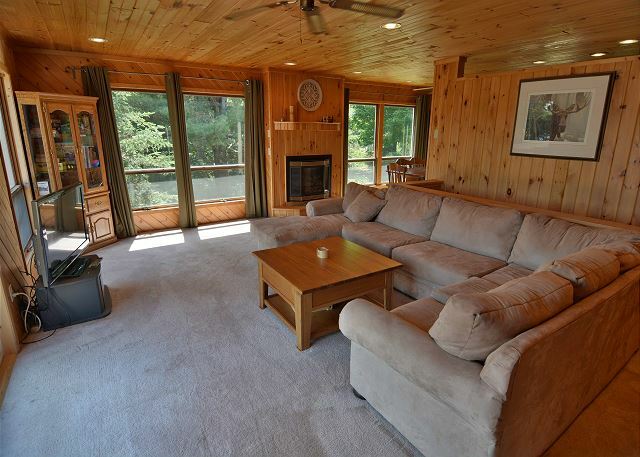 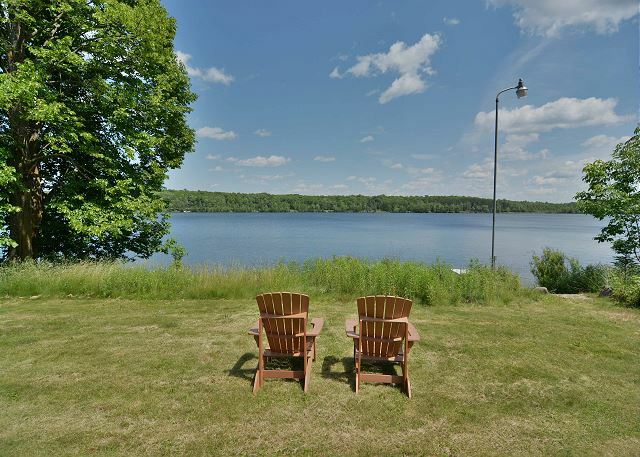 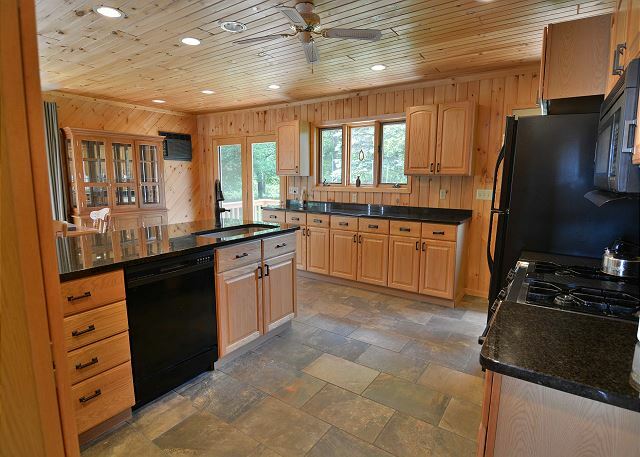 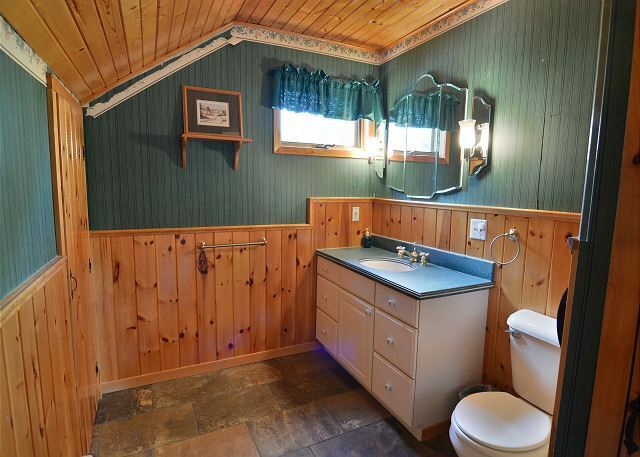 Kenny Lodge is a spacious 4 bedroom, 3 bath vacation home on the shores of popular Lake Namekagon. 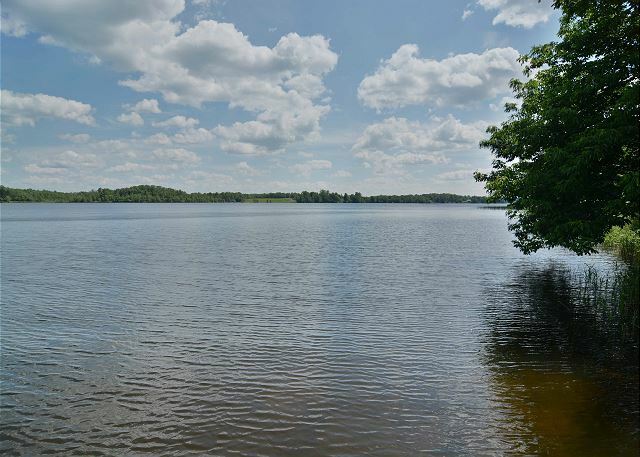 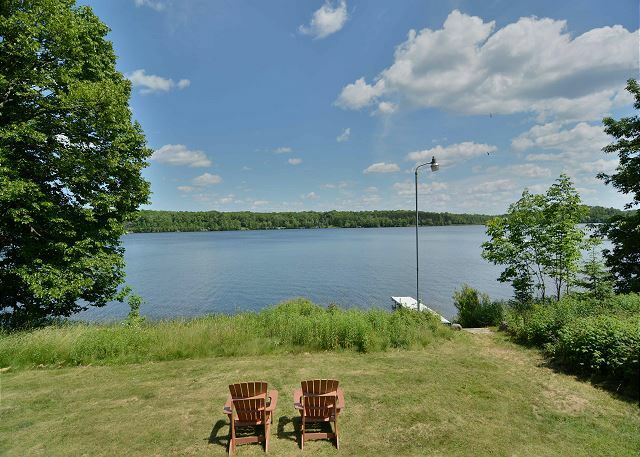 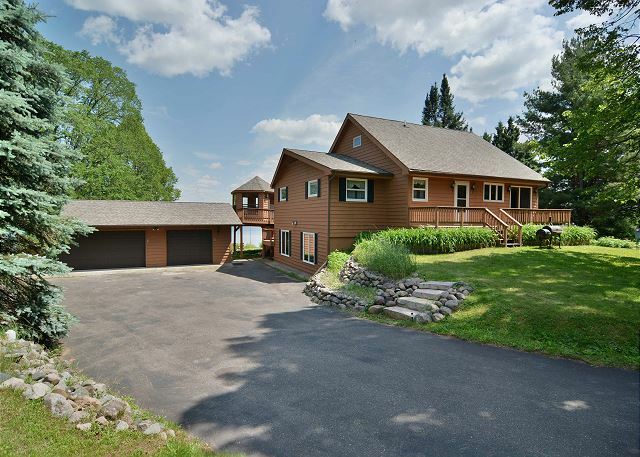 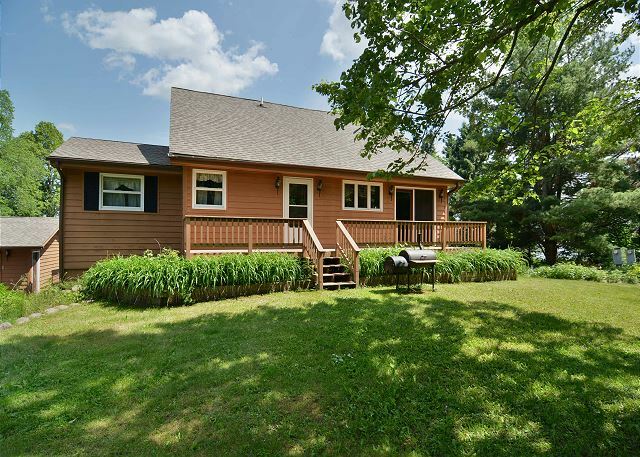 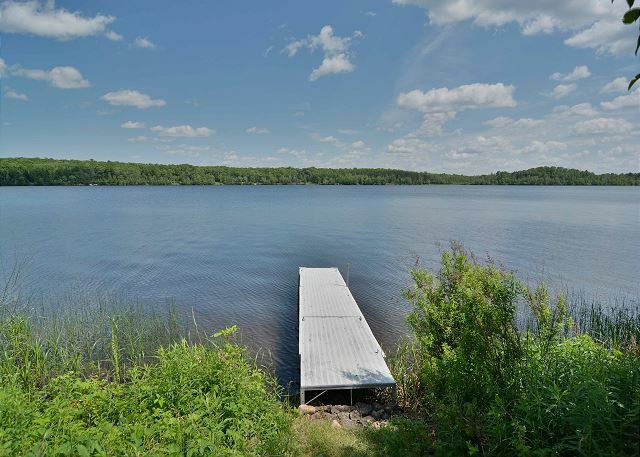 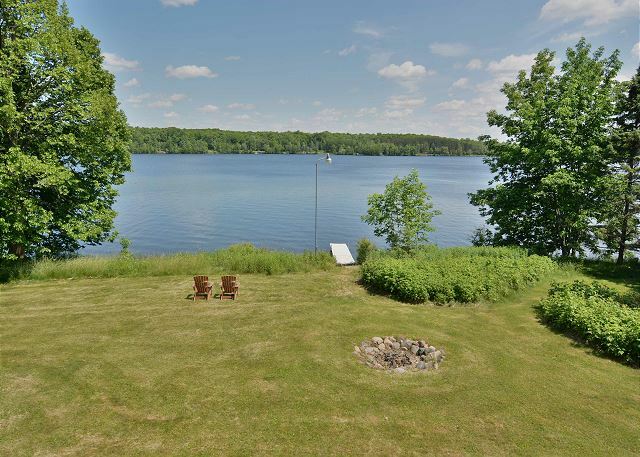 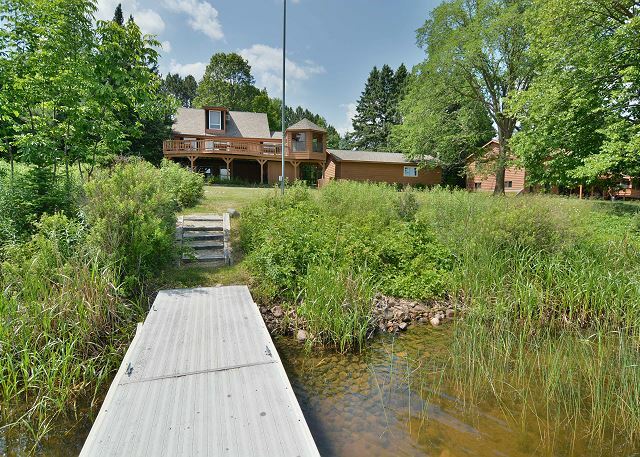 With a level, grassy yard, good swimming and private dock, you will enjoy a classic Wisconsin summer lake vacation on one of Bayfield County's most in demand lakes. 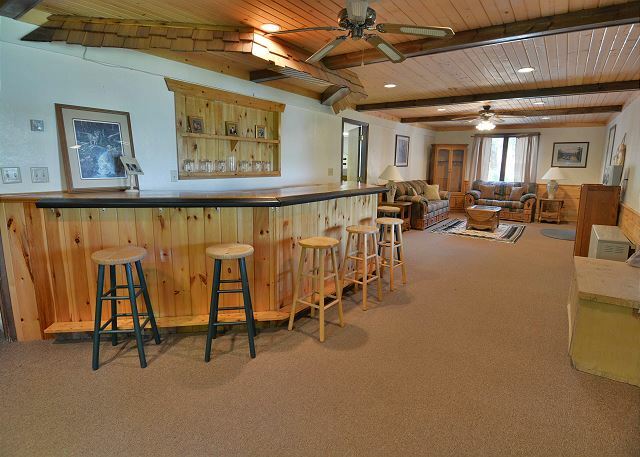 In the winter months, you’ll enjoy snowmobiling from your front door onto the finest trails in Northern Wisconsin! 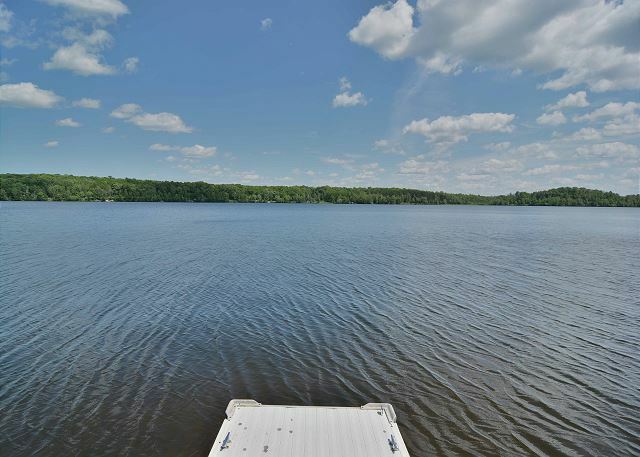 Lake Namekagon offers nearly 3,000 acres of year round recreation with world class fishing, boating and Northwood's scenery. 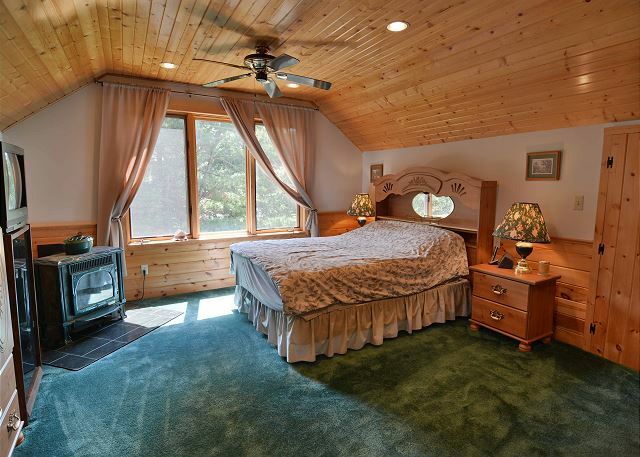 Feel like lounging around and kicking back while on vacation? 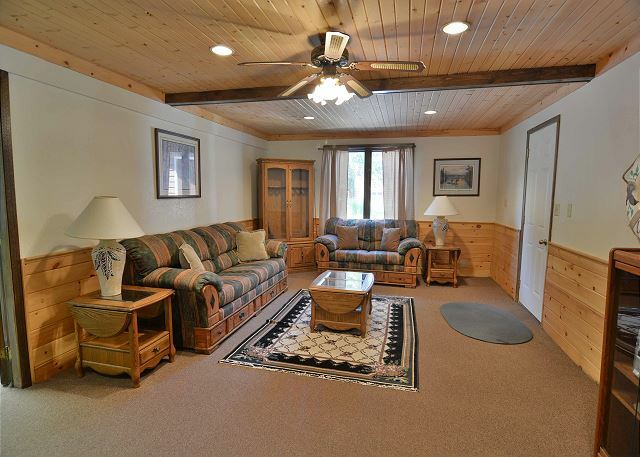 Kenny Lodge is the right place for stretching out and relaxing on your next vacation. 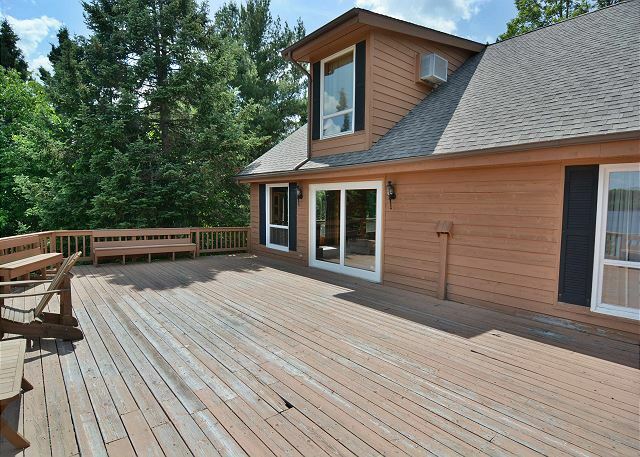 Step inside and enjoy similar spaciousness! 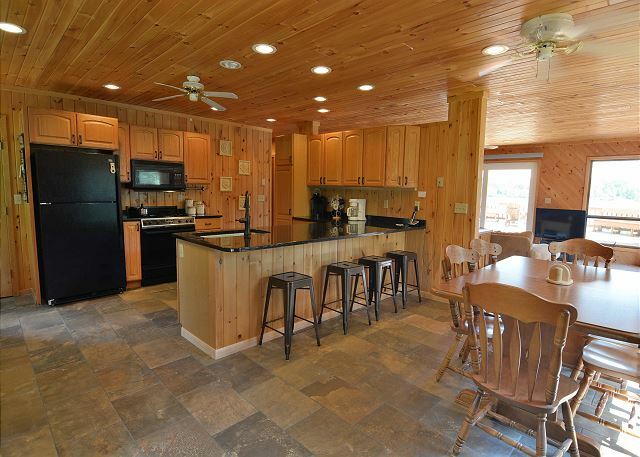 Multiple levels of living spaces, 4 bedrooms, 3 full baths and walkout lower level with wet bar make great accommodations for your family or group. 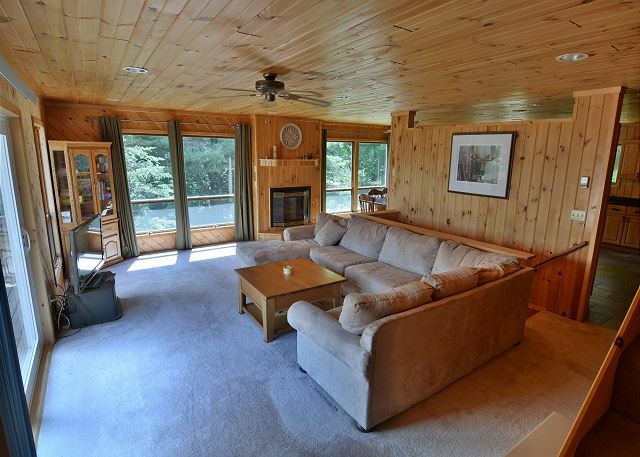 The main level of the home has a fully equipped kitchen, comfortably furnished living room with gas fireplace and walkout access to the deck. 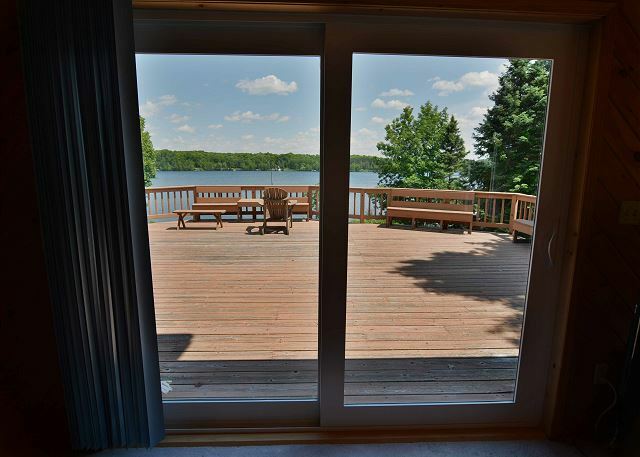 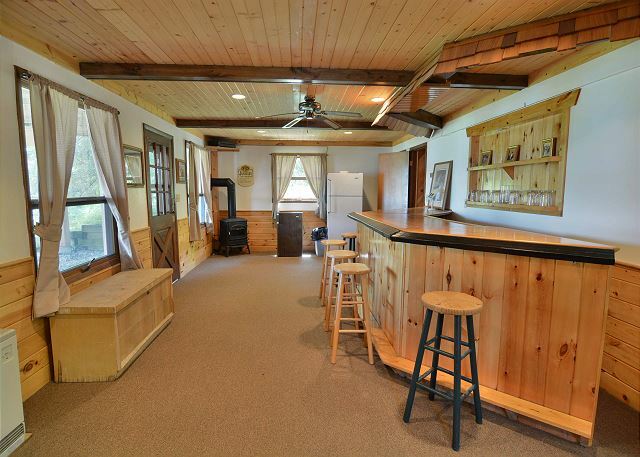 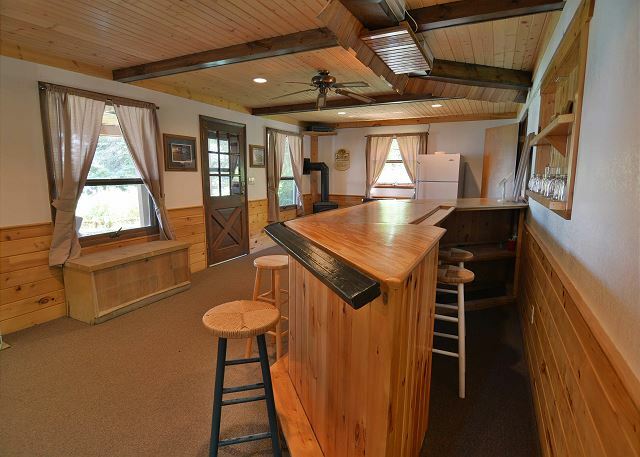 The lower level has a second living area and wet bar and walkout access to the lake. 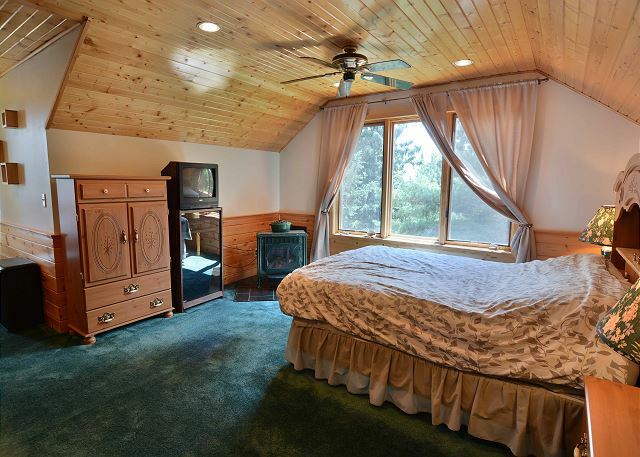 The upstairs master bedroom suite offers a roomy space above it all with its own TV/DVD player, gas fireplace, full bath and sitting area. 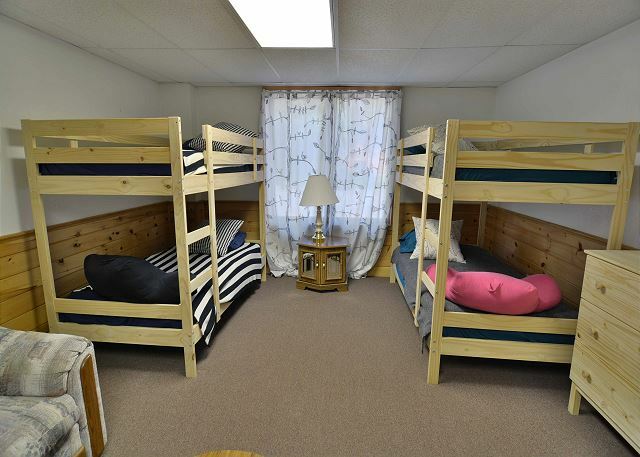 There are two bedrooms on the main floor and a fourth bedroom on the lower level with bunk beds. 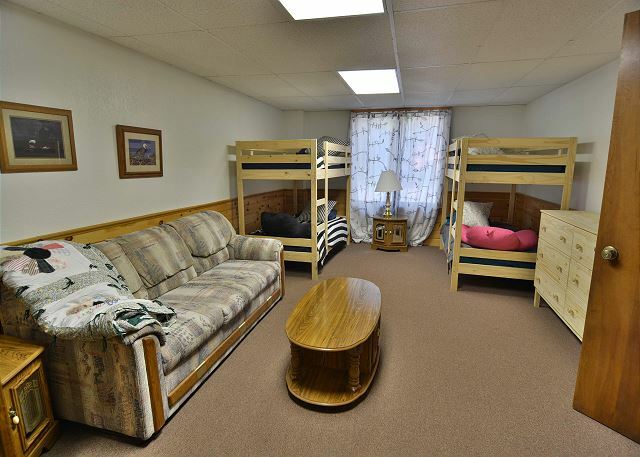 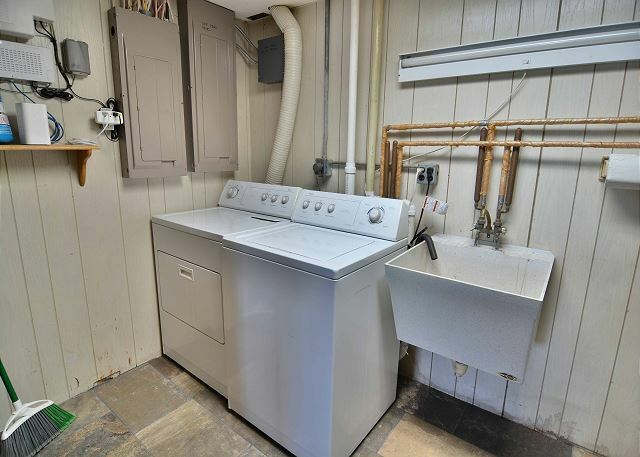 You'll enjoy plenty of amenities when you stay at Kenny Lodge including Wi-Fi internet, gas fireplace, washer/dryer, ceiling fans, and fire pit! 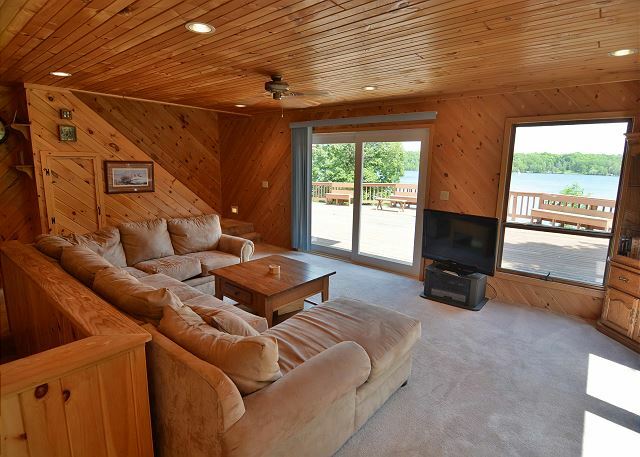 Whether it is a spring or fall fishing trip, a traditional summer family vacation or a winter snowmobile getaway, Kenny Lodge will feel like your home away from home in Wisconsin's Northwoods! 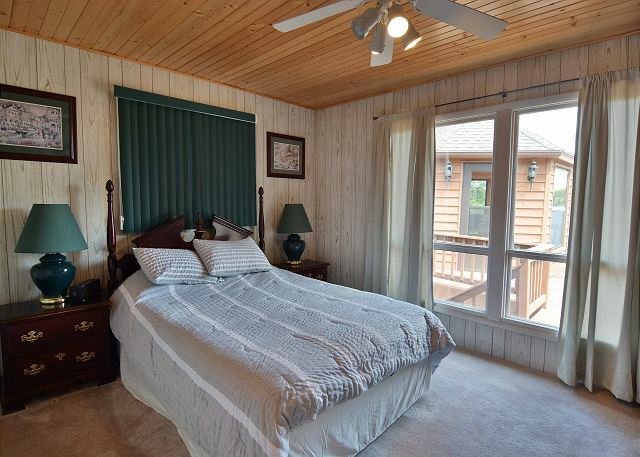 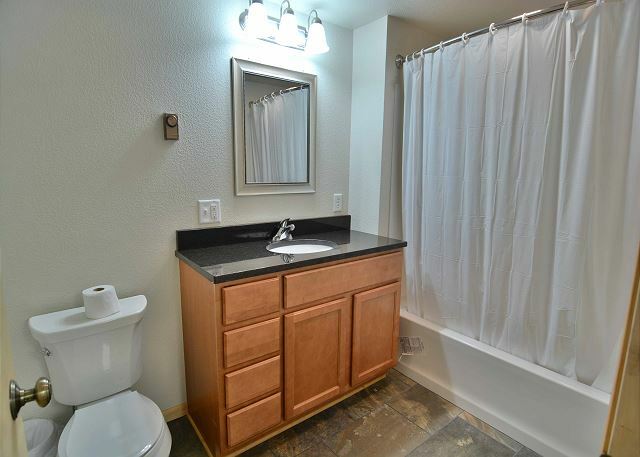 Rooms Sleeps 8, 4 bedrooms, 3 full baths and walkout lower level with wet bar. 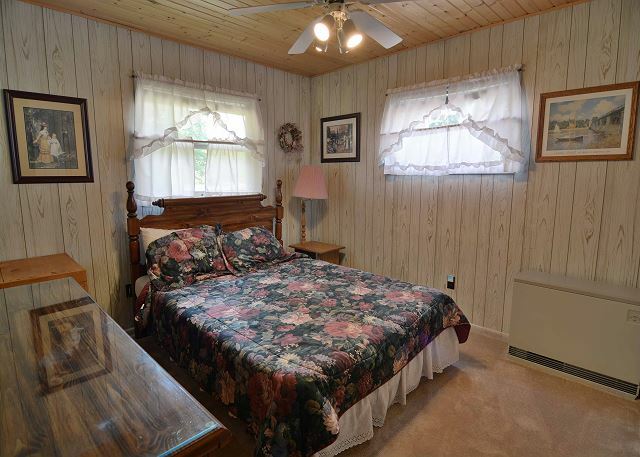 Three bedrooms have queen size beds and the forth bedroom has Bunk Beds.